With a huge amount to remember when it comes to maintaining your mechanical and electrical assets, we’ve highlighted the top 5 maintenance tasks that should not be forgotten. Emergency lighting can often get forgotten, until there is an emergency of course. Regular inspections of your emergency lighting are a statutory requirement and should be carried out to support business continuity planning and to ensure safety of your staff and building users. How will your business continue to operate in the event of a power failure? Do you operate in a business critical environment where a power failure just simply can’t happen? Maintaining these is another vital part of business continuity and ensuring your business operations are not put at risk. Although a meticulous planned maintenance regime is required so that testing them doesn’t impact day to day operations, ensuring they are checked is just as important as checking your heating systems are operating efficiently. Don’t forget them. Regular checks are vital for prevention and early warnings of potential water hygiene issues. From checking taps, water storage tanks and water heating systems, regular maintenance can prevent more serious issues and costs involved with legionella outbreaks and infection control. Keep your water systems and your people safe. Changing filters on your AHU’s regularly is important to ensure that the plant operates efficiently and doesn’t drain energy. Plus it is important that clean air is filtered through regularly maintained filters so that air quality and circulation is optimised. Don’t forget clean air improves staff performance in the workplace! 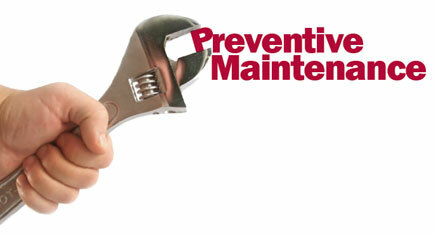 These are often forgotten in maintenance plans and actually many insurers require that they are checked regularly. Make sure you verify what’s required in your insurance policy otherwise you could invalidate your policy.